This patch was used for many years. 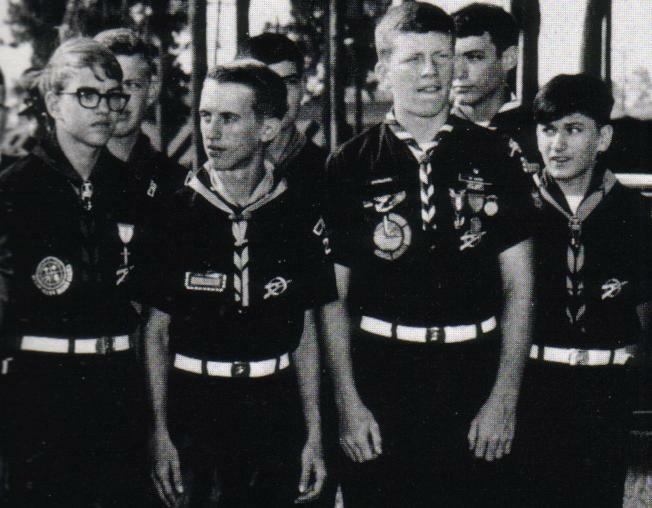 A picture of a scout wearing this patch with four rockers (shown below) was included in the 1970 50th Anniversary of Middle Tennessee Council brochure. Unfortunately, it is impossible to make out the dates on those rockers. 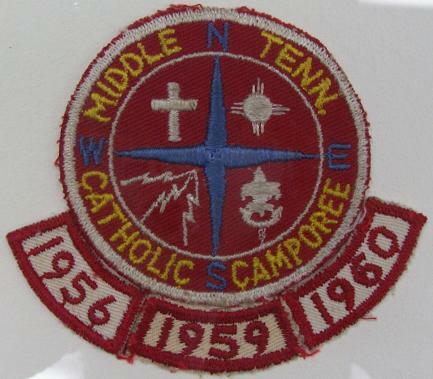 However, the picture is from 1969, so it is reasonable to assume this patch was used for over a decade while other patches may have been issued at the same events. A rolled edge version of this patch is also shown below. 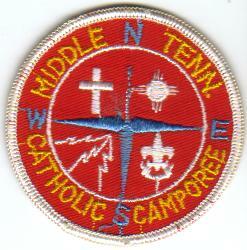 This along with most of the other vintage Catholic camporee patches was acquired from an individual who attended the Catholic camporees of the 1950s and early 1960s in Middle Tennessee Council. All rockers except the ones shown (1956, 1959, and 1960) are needs of mine. If you have any available, please e-mail me at abw11365@comcast.net.